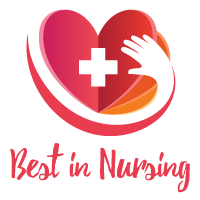 Tamara Floyd, System of Care Leader at Brooks Rehabilitation in Jacksonville, Florida, has been recognized as a “Leader in Nursing” among “America’s Best Nurses” for 2017. Ms. Floyd will be sharing her knowledge and expertise in the field of Nursing, Patient Care, and Orthopedics. With a lifelong interest in helping others, it is no surprise that Tamara Floyd was inspired to begin a career in nursing. 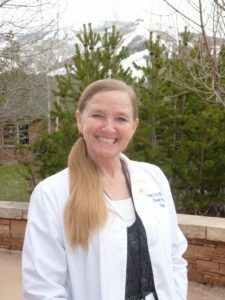 After receiving her BSN from Grand Canyon University, she utilized her knowledge of Orthopedic Nursing to advance into the role of Orthopedic Nurse Navigator. Ms. Floyd was also Program Coordinator for a Joint Replacement Program for seven years. She is now a System of Care Leader at Brooks Rehabilitation. As a System of Care Leader at Brooks Rehabilitation, her day to day responsibilities include implementing system-wide changes designed to link and integrate knowledge, practices, and processes across all post-acute settings. Ms. Floyd implements system-wide changes by focusing on patient-centered communication and information-sharing designed for continuity extending through the full episode of care. At Brooks Rehabilitation, Tamara Floyd plays a vital role in Brooks AmeriCare Home Health Division’s mission to provide medically necessary skills intended for individuals who cannot easily leave their home to receive medical care. Additionally, she assists in establishing accountability for the development of a Brooks Rehabilitation System of Care through the clinical integration of practices and processes across all PAC settings to support each patient’s full continuum of care. Tamara Floyd is actively involved with the National Association of Orthopedic Nurses and the Orthopedic Nurse Board Recertification Committee. Among her many accomplishments, Ms. Floyd is most proud to be Orthopedic Nurse Certified. She attributes her success to her parents, who instilled her strong work ethic and determination. Ms. Floyd’s professional goals within the next five years include pursuing a Master’s Degree in the field of Nursing Leadership. Already with fourteen years within the healthcare industry as an RN, Tamara is highly motivated to become more knowledgeable throughout out the course of her career. During her free time, Tamara Floyd enjoys hiking, and riding horses. An avid traveler, she has visited all fifty states and journeyed to more than thirty countries on six continents. Needless to say, she enjoys learning about different cultures, and ways of life. Brooks Rehabilitation has 40 years of expertise in providing medical rehabilitation services. Brooks Rehabilitation is comprised of highly trained clinicians providing the most advanced therapy and medical care at the local, regional and national level. Brooks is a unique Post Acute Health Care System. Brooks Rehabilitation includes a 160 bed inpatient rehabilitation hospital; the region’s largest home health agency: 211 short-term rehabilitation beds spread in three locations; over 26 Outpatient therapy clinics; and many specialty and programs that serve the community, and beyond such as Brain Injury Club House, Adaptive Sports, Aphasia Clinic, and NeuroRecovery Program.